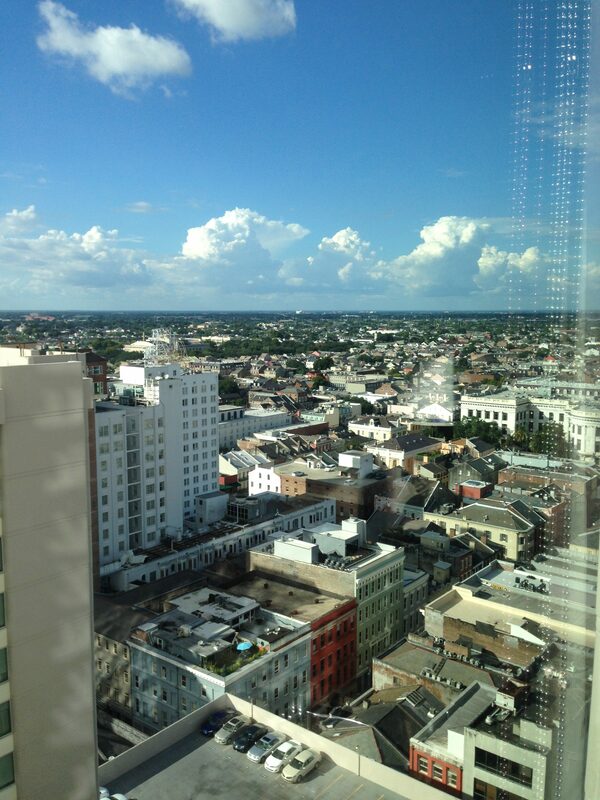 I spent most of this past week encouraging (forcing) myself to leave my room at the Marriott Hotel in New Orleans. It was a nice room, with a lovely view of the city framing the not-so-lovely hotel on the next block. 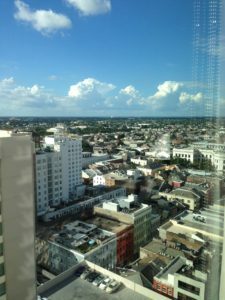 The first room I was assigned was on the fifteenth floor, but before I left the desk, five bucks and a request to not be situated near the elevator bumped me up to the twenty-third. (Also, the thing about being away from the elevator is in my Marriott profile. So much for profiles.) But if I hadn’t had a long list of plans and obligations, I would have been sorely tempted to stay in that room and write and look out the window and order room service and fiddle with the television’s satellite connection to improve its HGTV reception (HGTV is my secret hotel vice because we don’t have satellite at home). 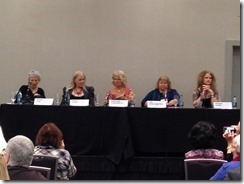 Last week was, of course, Bouchercon, the World Mystery Convention—four days of fun with crime and mystery lovers, readers, writers, agents, booksellers, and editors. I’m not exactly sure about the numbers, but I heard there were almost two thousand attendees, three hundred of whom were writers. Writers. You know, those people who sit at computers (or with notebooks) communing with the voices in their heads instead of real people. Conferences can be tough for someone who doesn’t get out much. I get overwhelmed, which is one of the reasons I often want to hide in my room. But I (and I think I can speak a little bit for other introverted writers) do it because it’s my job. When you meet someone, you never know what kind of influence they’re going to have on your life—or the influence you might have on theirs. You might be looking at your new best friend. Or your next editor. Or your next favorite author. Or the person who will spark your next story idea. Or the person who will talk smack about you in the bar because you didn’t bother to introduce yourself. Does it sounds like a minefield? A game of Risk? Well, it kind of is. You can sit in your room at home or even at the conference hotel and write. And write. You might even sell your story from that room. You might become the next J.D. Salinger or Don DeLillo or Emily Dickinson. Or not. It can be scary, but in order to give yourself and your work your best shot, you have to venture out. I promise you that venturing out feels just as risky to ninety percent of the other writers you will meet. (You can always return to your room later and throw up, faint, hyperventilate, burst into tears, or tear off all your clothes and crawl into your bed and pull the covers over your head in relief. I have done four of the five.) Sometimes you’ll walk away thinking, “Oh, my God, I sounded like a complete idiot!” But more often you’ll be glad you reached out and risked rejection. This sounds difficult, I know. Sometimes you just have to fake it until you feel it. The NYT bestselling writer waiting in the coffee line ahead of you sits in front of the same blank page that you do every day, thinking, “What comes next?” You have that in common. You’re there for a reason, so act like it. This is part of your job. Be sure you note the name of the person you’re talking to. It’s okay to ask, and asking is far preferable to ending up halfway through an impromptu lunch, petrified that you’ll be called on to perform introductions if someone else shows up. 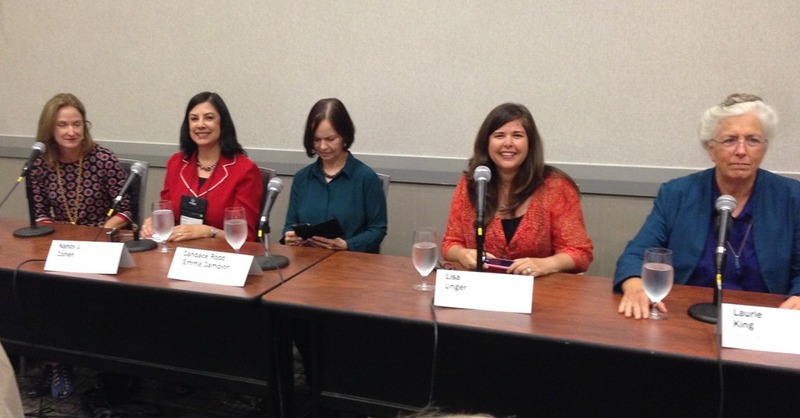 If small talk is required, talk about a panel or interview you just attended, or a book you recently read. Not your gallbladder, kids, or most recent tooth implant. Immerse yourself in the conference agenda. People who are interested in the same things you’re interested in put the panels and events together. It’s not all about networking. Most people love to talk about themselves. Ask questions about their work, their pets, their hometown, their (professional) passions. 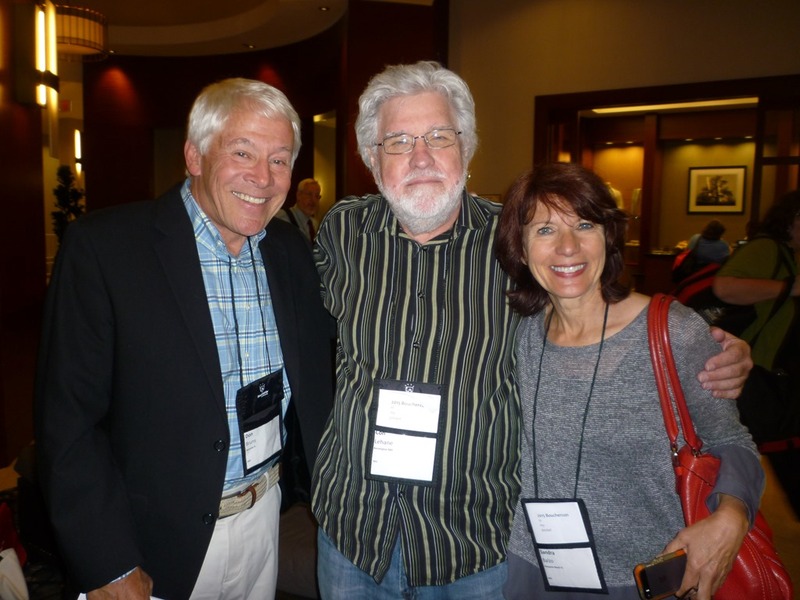 Most wildly successful authors are good at making other people feel special in a short space of time. Really. We’ve all gotten the FB messages: “Hey, we’re friends now. Buy my book!” Every writer wants other people to know about their work. But don’t make that your main goal. Your goal is to learn things, make new friends, and reconnect with old friends. There’s always a good time to exchange cards or bookmarks or websites. Name-dropping is a bit gauche, but allowed in small doses if it’s relevant to the discussion—or makes a better story. Be as nice to the mid-list or self-published writer standing beside you as you are to the editor you would kill to have publish you. Chances are you’ll have far more contact with that writer in your career than you will the editor. Not everything is about getting ahead. It’s about being a decent human being. Few things are uglier than people who spend their professional lives sucking up and kicking down. You didn’t get to where you are as a writer all by yourself. I guarantee that someone around you has less experience. Introduce yourself to someone who looks as uncomfortable as you feel. Make them feel special. It won’t cost you anything, and the benefits are precious. If you’re not Cormac McCarthy, or Emily Dickinson, leave your room! Put on deodorant, brush your teeth, comb your hair, and attend a panel, a cocktail party, or a lecture. Or even go hang out in the bar. You’re over twenty-one, and you’re allowed. See and be seen. That’s the way it works. As I said, you can always go up and hyperventilate in your room—later. 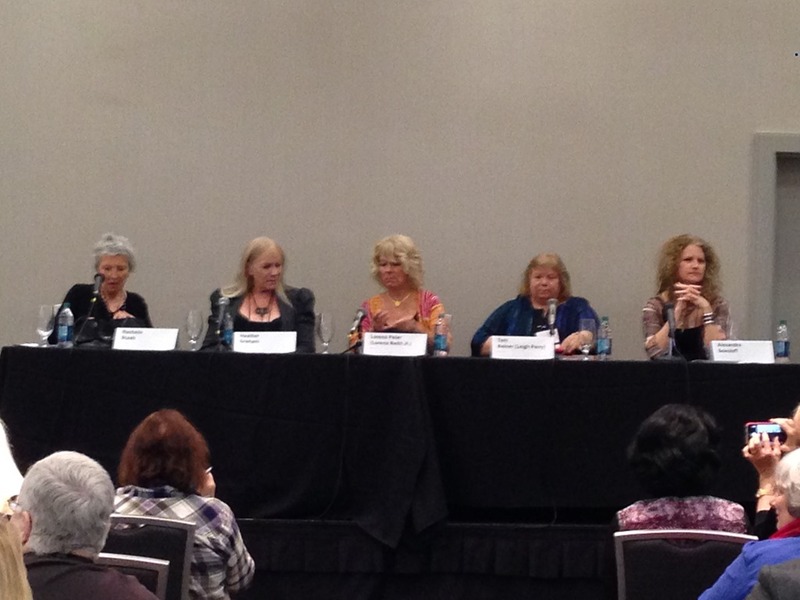 Have you ever attended a writing or publishing industry conference as a writer, or as a fan? Did you find it challenging, or just plain fun? Laura Benedict’s latest suspense novel, The Abandoned Heart: A Bliss House Novel, will be released on October 11th. Read an excerpt here. 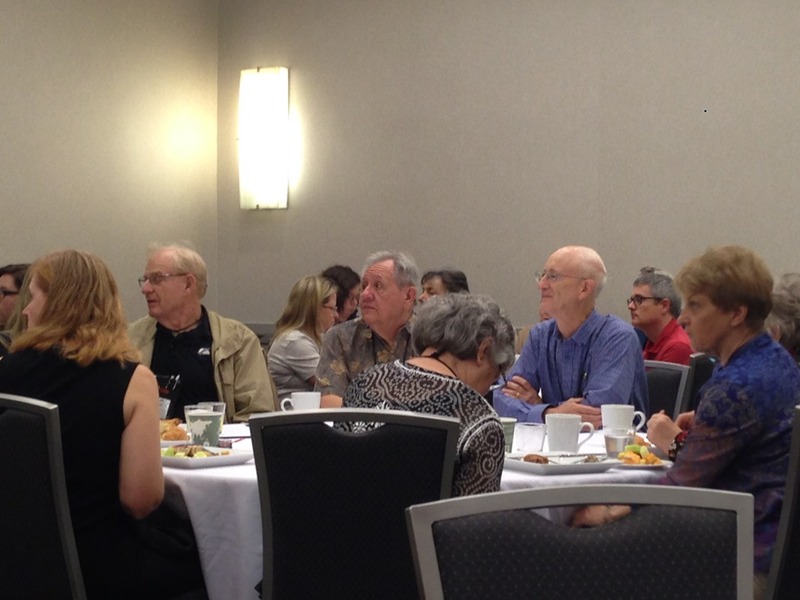 Recovering from a conference can take as much time or more as preparing for one. 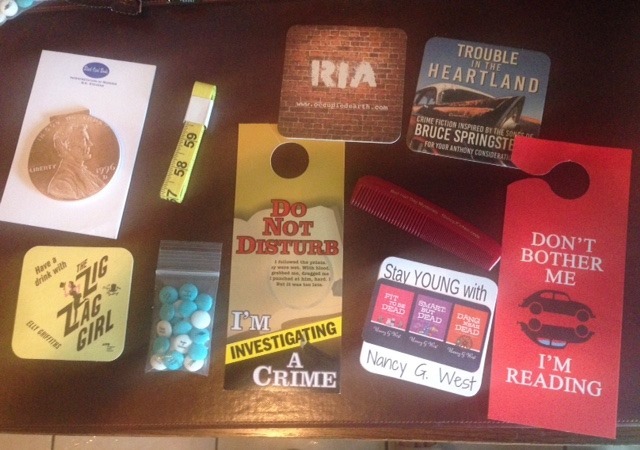 When you get home and unpack, you’ll likely have a collection of promo items from other authors to sort through. It’s good to keep some of these, as they can inspire ideas for your swag in the future. I keep swag from other authors in a small shopping bag designated for this purpose. It helps to have samples if you’re thinking of ordering a similar item. 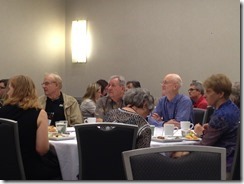 What impressed me at Bouchercon this year? I always like Door Hangers. I did one myself for Hanging by a Hair. I liked the little bags of chocolate covered mints. I don’t remember the author’s name engraved on the M&M sized candies, but I do remember her book title as House of Homicide. One author gave out tape measures. My Bad Hair Day combs were popular, and every one that I put out got taken. As usual, the tables were a mess with print materials, but I picked up bookmarks for titles that interested me. And coasters are always useful. I keep them on my computer desk. It helps to sort through the business cards we receive and add relevant contact info to our address books. I’d also suggest marking the date and place where you met the person for easy recall later. You might dash off a note to people you’d met or to booksellers who carried your titles. Uploading your photos and blogging about your experience will keep the memories fresh. I’m still recovering from Boucheron, held in Raleigh. 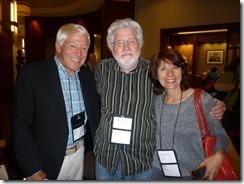 Here you’ll meet fans as well as other authors, plus a conglomeration of industry personnel. I have piles of materials to sort out and notes from panels attended to write up. But since I’m on the road again for another book event, these tasks will have to wait. This means I won’t be around today to answer comments, but please leave any tips you’d like to share.